Testing Taylormade & Callaway Drivers to find out which driver suits my golf swing. Out with the old and in with the new! Just recently I decided to investigate a 9-year-old driver that I am used and now look for another driver. Since I am at the grand old age of 40 years old, I feel that I am getting shorter! 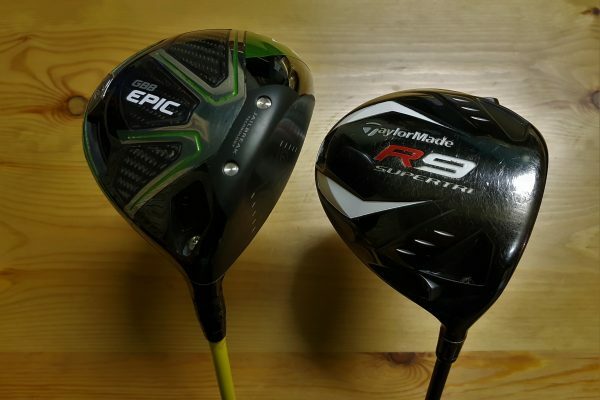 Notably, swinging I used Trackman to measure the differences between hitting my current Taylormade Supertri and the contender, The Callaway Epic Driver. Indeed, Golfers should always warm up. I warmed up my swing by stretching and hitting around forty shots. Followed by hitting 10 golf shots with each driver from a driving range mat at John Dooley PGA. ****Please note that this data shown is the sum averages of 10 shots hit from each club. The main big points where, club speed and ball speed, the carry of 10.8 yards! Therefore, may I say that I am now the proud owner of a 9 degree Callaway Epic driver. I liked the weight of the club, how the club feels, the sound after striking a ball and I like the ball flight. Additionally, all of the points mentioned are key components to finding a driver that I will use. Therefore, I like my new Epic driver and its a winner! Finally, the old Supertri Taylormade driver is now fully retired from my golf bag.